To be more concrete on the content of the event, we post the overview of the sessions that we plan to have. Please, note: there might be some changes - on topics, as well as on the flow of each day during the event. It would be great if you leave your comment - about your preferences, and overall reaction. Translation will follow shortly. Where has inspired your dream? What do you want to bring to life? What skills and talents do you bring to its fulfillment? What support do you need? What is the business for more than profit? What is ethical business? World Café: What does it take to build a strong, committed and passionate team? What are the values and practices you want to embody? How to unleash your potential and that of your team as you co-create and grow your idea into a sustainable business? The time is now: what are the right questions? What is your voice telling you? What does it take to attract investors? How do you build your network? Open Space around such topics as risk-management, financial models, business plan, market analysis and strategic planning, marketing, etc. 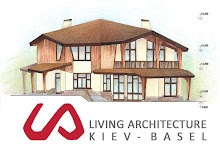 * Goodbye and see you in the Hub Kyiv! p.s. We appreciate your comments on the above - to include them into our design process. Thanks!